Born: 1936 Dec 14 in New York City, USA. Qualifications: (1958) BA in astronomy and physics from Amherst College; (1962) PhD in astronomy from CalTech. 1969) astronaut academic, simulator, survival and jet pilot training programme; (1971) support crew member and Capcom, Apollo 15; (1972) mission scientist, support crew member and incidental Capcom, Apollo 17; (1973—1974) Skylab program scientist and member of support crew for all three manned missions; (from 1974) began working on Shuttle development issues; (1974 Aug 15—1978) Chief of Scientist-Astronauts, CB; (1975) crew member for ASSESS-I Spacelab airborne simulation programme; (1977) member of the Astronaut Selection Board for Group 8, the first Shuttle era selection. CB support role for STS 41-C; (1983 Nov 28—Dec 8) flew as MS, STS-9/Spacelab 1 (247 hours), a multi-discipline scientific research flight and the first flight of the dedicated research module; (1988—1989) Director of the Office of Spaceflight Space Station Integration Office, NASA HQ, Washington DC; (1990 Dec 2—10) flew as MS, STS-35/Astro 1 (215 hours), an astronomical research flight; (1991 Jan—1997 Jun) returned to NASA HQ as Director of Division Policy and Plans, Office of Spaceflight, subsequently becoming Deputy Associate Administrator for Operations and Director for Spacelab Operations; (from 1997 Jun) Director of Program Requirements, NASA JPL; (Aug 2005) retires from NASA after a 40-year career. 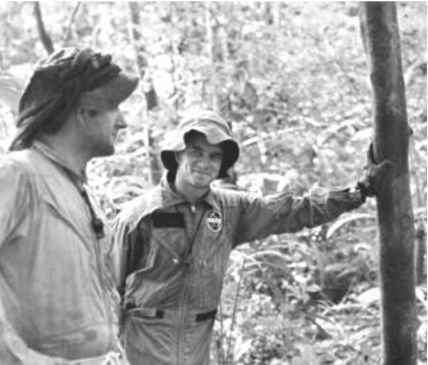 Parker logged over 462 hours in space on two missions.